Maribelle joined Cambridge in 2018. 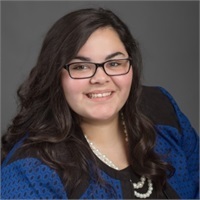 In her current role, Maribelle assists with administrative responsibilities including account management, reporting and planning, communication, and client management. She attended Kirkwood Community College. She currently lives in Washington, Iowa where she enjoys kayaking, fishing, and spending time with her family.